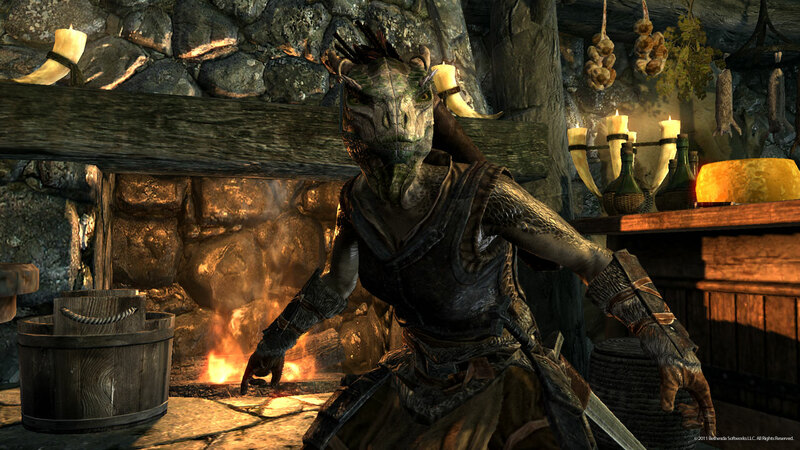 Argonian Female. . HD Wallpaper and background images in the Elder Scrolls V : Skyrim club tagged: the elder scrolls v: skyrim argonian female. This Elder Scrolls V : Skyrim photo might contain огонь, пламя, инферно, and ад. Where did the Стрела touch you?